Can You Put Vaseline on Tattoos? A tattoo is one of the most dynamic ways to express your true self. If you have just had your very first tattoo, you need to understand the dos and don'ts to avoid dealing with any complications. 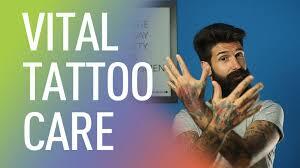 You need guidance for the proper aftercare of your tattoo. You need to know what precautions to take and the steps to take to promote healing. So is it okay to use Vaseline on tattoos? Let's find out more about it. Even if you have went to a modern studio where they have used sterilized instruments and pigments for tattooing, you should still take serious care of your tattoo after the process. The long life of your tattoo is heavily dependent on the care you give it during the first few days and weeks, and during that time, you should stay away from putting Vaseline on your tattoo. 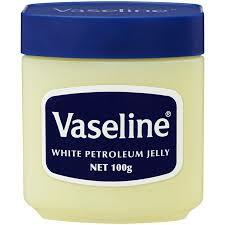 Why you should not use Vaseline? The answer is that it clogs the pores and has no antibiotic effects. It keeps your skin from breathing and increases your risk of infections. Any Vaseline used on the day of the tattoo is usually to keep the plastic wrap or bandage from sticking to your skin. Never think about using Vaseline again on your tattoo though. You will be better off using antibiotic ointments, such as Bacitracin, Neosporin, and generic Neosporin. Even when using these antibiotic ointments, you should try to apply a thin layer only. You can apply it thrice a day for the first three days though. Do not apply ointments after the first few days because your skin needs to breathe. You can, however, apply a protective coating of plastic wrap whenever going out. But, when you are at home, you should keep it open and consider walking around without your shirt to promote healing. Can you put Vaseline on tattoos? No, you cannot. However, you can take many other steps to promote healing and ensure that your tattoo continue to look good even years after the day you had it done. It is important to sleep in a way that you do not put pressure on your newly created tattoo. It means you should sleep on your belly for a few days in case your tattoo is on your back. It is even better to sleep in a way that you do not have to cover your tattoo. If your tattoo is in somewhere that will come into contact with the bed sheets, you should place a thin towel between you and the sheets. Do not try to peel the sheet off if it sticks to you in the morning; instead, take it to the shower and wet it off with lukewarm water. You may feel tempted to touch your new tattoo but you have to resist the temptation. Do not touch it and never let your family members, friends, or even children to touch it with their hands. Keeping your tattoo clean is of paramount importance or else you may end up dealing with infections. This is extremely important especially during the first couple of weeks after getting your tattoo done. You can wash your tattoo a few times a day and take a shower whenever you want, but avoid submerging tattoo in hot tubs, baths, salt water, or swimming pools. Exposing it to standing water increases your risk of developing infections. Instead of applying sunscreens or sun blocks, it is better to avoid exposing your tattoo directly to the sun for the first few days at least. You may feel your tattoo burning when exposed to sunlight. If that is the case, stay out of direct sunlight and go out only when you really have to. After a few days of getting your tattoo, you need to take steps to keep your tattoo from drying out. For this, you need to use something organic – a hypoallergenic moisturizing lotion works just fine. The idea is to find something that does not contain any or have the least amount of chemicals and preservatives. Even when applying a moisturizing cream, be sure to apply a thin layer of it and allow your skin to breathe. Apply it whenever you feel your skin becoming a bit dry. Your tattoo is more likely to itch after a couple of weeks – this usually happens when it is about to heal. Just resist the temptation to scratch it. Simply a slap to the area may help ease the urge, but if that does not work, try Aloe that works as a natural anesthetic. Avoid antihistamines because they may dry your skin out. Never use antibacterial soaps or soaps that contain deodorants to wash your tattoo during the first few days of recovery. Apply a lotion especially created for tattoos for the first few days or until your tattoo begins to scab. Then stop using the lotion and let the tattoo scab. Select what you should wear with extreme care because clothing can irritate your tattoo. Take all these steps and spend some time looking for the best organic balm that may help reduce inflammation, encourage a state of balance, restore harmony to the tattooed skin, and protect your skin from becoming infected. Use it regularly to take right care of your new tattoo. Under no circumstances should you be applying any petroleum-based product on your tattoo. Do Some Amazing Challenges with Your Friends!